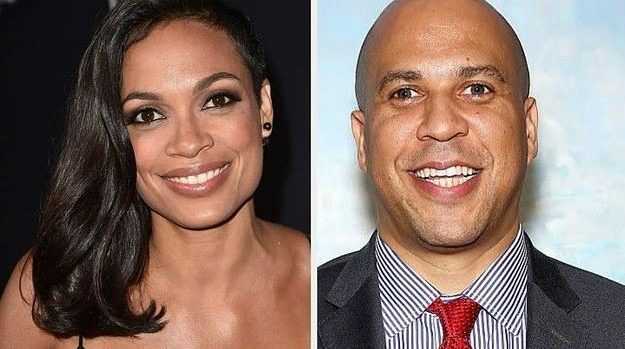 TMZ caught up with Rosario Dawson at the airport in Washington, DC and asked her if the rumors were true that she is dating presidential candidate/Senator from New Jersey, Cory Booker. She didn’t try to hide it, as a matter of fact she said he is an, amazing human being and their relationship is a wonderful thing. She continued, I am just grateful to be with someone that I respect and love and admire so much.” When asked about marriage she was tight lipped on that one. Senator Booker is the only single presidential hopeful in the primary race. Rosario Dawson could be the next First Lady! They are in love and it’s a thing!